Springer Controls Push-Button Motor Control Stations are sold complete with operators, contact blocks, pilot lights, bulbs and legend plates as indicated. Each station is enclosed in a polycarbonate enclosure - NEMA 1, 3, 3R, 4, 4X, 12, 13, & IP66 rated. The operators are all oil-tight 22mm pilot devices. Mount a push-button station on the wall for a safer motor controller. Springer Controls Double Push Button Motor Control Are Used For Switch And Push Button Operator Applications. Springer Controls Double Push Buttons have a white transparent lens for use with indicator light and a black insert for non-illuminated feature. Bulb and power supply not included. 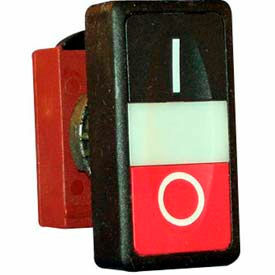 Available in Double Push Button without Symbols and Double Push Button with Symbols. Colors includeYellow, Black, Red and Green. 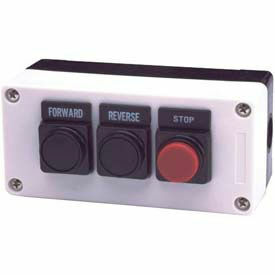 Springer Controls Illuminated Push Buttons Are Used For On/Off Operations And Dimly Lit Environments. 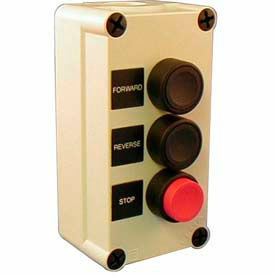 Springer Controls Illuminated Push Buttons turn push button operated motors to an on or off state when pushed. Standard filament bulbs included. Contact configurations vary by model. Color finishes are Amber, Black, Black - Red, Blue, Green, Green - Red, Red and Yellow. 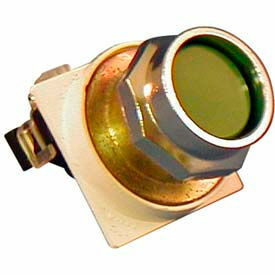 Springer Controls Pushbuttons Are Widely Used In Momentary Operation Applications. 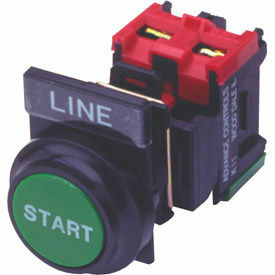 Springer Controls Pushbuttons turn Pushbutton operated motors to an on or off state when pushed. 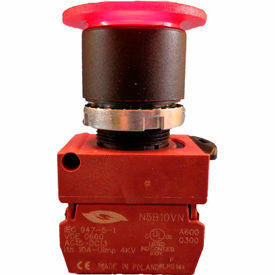 The 30mm N7 Series standard Pushbuttons are available in Extended, Flush or Recessed styles. Contact configurations vary by model. Color finishes are Amber, Black, Green, Red and Yellow. Springer Controls 22mm Push Buttons Allow Control Over Various Types Of Machinery. Springer Controls 22mm Push Buttons are offered in a variety of sizes, styles and colors to suit a variety of control panel types. Buttons are Momentary Operator type. Select models include contact box. Springer Controls Accessory Contacts Are Made For Use With N5 Series Of Polycarbonate Enclosures, Push Buttons And Switches. Springer Controls Accessory Contacts are offered in a variety of contact types to suit a range of different devices. Contact types are Normally Closed, Normally Open or a combination of both. 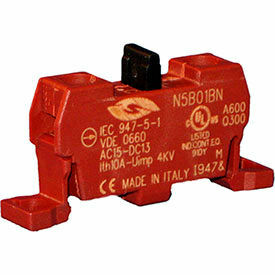 Springer Controls Accessory Contacts are available in Base Mount, Late Break, Early Make or Quick Connect styles. ACI 22mm Push Button Stations Are Used For Commercial And Industrial Contractors, Electricians And More. 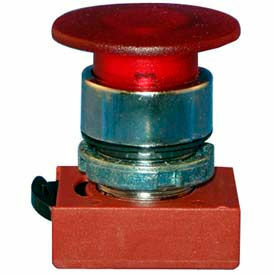 ACI 22mm Push Buttons Are Used For Commercial And Industrial Contractors, Electricians And More. 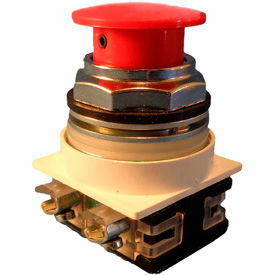 ACI 22mm Push Buttons are made of durable, non-metallic material for long lasting reliability and dependability. Heavy duty industrial control devices fully gasketed for Type 4X (IP65) protection to prevent the entrance of water, oil, and dirt into the enclosure. Modular construction makes "on the job" assembly both fast and simple. Contact blocks are "stackable" (up to a maximum of 4 contact blocks) allowing many combinations of control layouts. Available in wide variety including Black, Blue, White, Red, Green, Yellow, Green.Green, Red/Red and Red/Green Color, 22mm and 30mm Hole Mount and 1NO+1NC, 2NO, 1NC, 2NC and 1NO Auxilary Contacts. ACI 22 MM Legend Plates For Electric Control Devices. Springer Controls 22 mm Illuminated Mushroom-Head Pushbuttons Feature A Wide Surface For Easy Activation. Springer Controls 22 mm Illuminated Mushroom-Head Pushbuttons are manufactured with precision components for long lasting dependability in rugged industrial environments. Momentary operator type pushbuttons cause a temporary change in operation and include an oil-tight actuator for smooth, reliable operations. 120V or 24V bulbs are included on some models. Colors are Amber, Black, Blue, Green, Red or Yellow. Fits 22 mm panel hole for precise fit. Specifications vary by model. Springer Controls 22 mm Illuminated Mushroom-Head Push-Pull Buttons Feature A Wide Surface For Accurate Use Even While Wearing Gloves. Springer Controls 22 mm Illuminated Mushroom-Head Push/Pull Buttons are manufactured with precision components for long lasting dependability in rugged industrial environments. Include an oil-tight actuator for smooth, reliable operation. Finger safe terminals improve safety. Amber, Green or Red color are available. Fits 22 mm panel hole for accurate installation. Specifications vary by model. 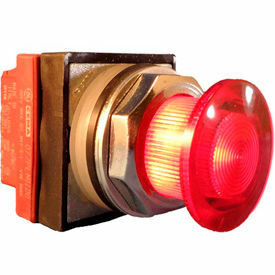 Springer Controls 30 mm Illuminated Pushbuttons, Extended Are Widely Used As Replacements On Operator Control Panels, Boards And Other Electrical Installations. Springer Controls 30 mm Illuminated Pushbuttons are manufactured with precision components for uninterrupted use in dirty or dusty environments. Oil-tight pilot devices are UL approved. Extended pushbutton controls are raised further off the panel than other buttons making them easy to see and push in emergency situations. Widely used as "Stop" buttons for increased safety. Amber, Green, Red or yellow color are available. Fits 30 mm panel hole for accurate installation. Specifications vary by model. 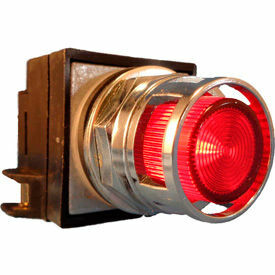 Springer Controls 30 mm Illuminated Pushbuttons, Guarded Are Widely Used To Prevent Unwanted Start Ups. 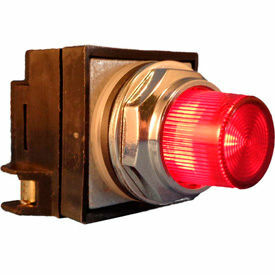 Springer Controls 30 mm Illuminated Pushbuttons, Guarded are manufactured with precision components for uninterrupted use in dusty or dirty environments. Metal guard around control actuator helps prevent unwanted operation. Oil-tight pilot devices are UL approved. 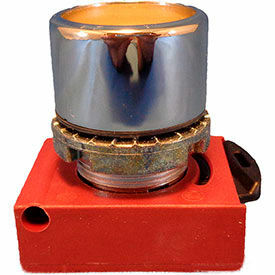 Available with Amber, Green, Red or Yellow indicator lights to quickly see if power is on. Fits 30 mm panel hole for accurate installation. Specifications vary by model. Springer Controls 30 mm Illuminated Mushroom-Head Pushbuttons Feature A Wide Surface For Precise Push Even While Wearing Gloves. Springer Controls 30 mm Illuminated Mushroom-Head Pushbuttons are manufactured with precision components for long lasting dependability in rugged industrial environments. 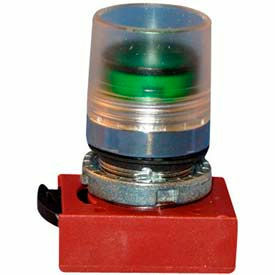 Momentary operator type Pushbuttons cause a temporary change in operation and are available in Normally Open (NO), Normally Closed (NC) or NO/NC styles to meet specific installation requirements. Available bulb colors are Amber, Green, Red or Yellow. UL approved. 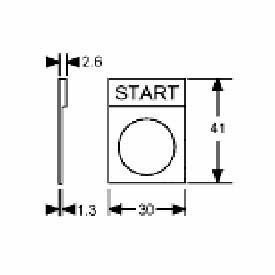 Springer Controls 30 mm Mushroom-Head Pushbuttons Feature A Wide Surface For Precise Activation. Springer Controls 30 mm Mushroom-Head Pushbuttons are manufactured with precision components for long lasting dependability in rugged industrial environments. Oil tight pilot devices are UL approved. 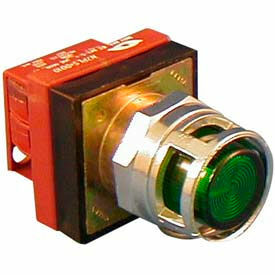 Pushbutton colors are Amber, Green Red or Yellow. cULus approved. Specifications vary by model.